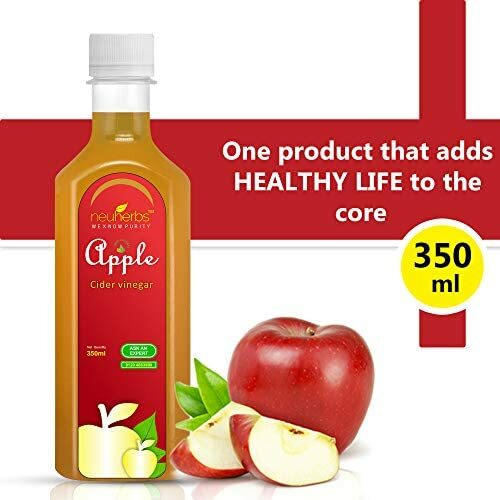 Neuherbs Raw Apple Cider Vinegar promotes the weight loss, digestion, immunity, improves the health of liver and lymph. Naturally fermented apple cider vinegar boosts immunity, curbs the cravings and helps to achieve pH balance in the body. Raw apple cider vinegar whitens teeth, vinegar for hair works as the conditioner vinegar for skin clears acne. Add 2 teaspoons of Neuherbs ACV to a glass of water and have it. Twice a day is recommended. Alternatively, ACV can be used as a saladdressing to be taken with the meals. We also provide free diet consultation to help you to achieve your fitness goals easily.